This is a simple android xml ui design where you will learn to arrange views and view groups. 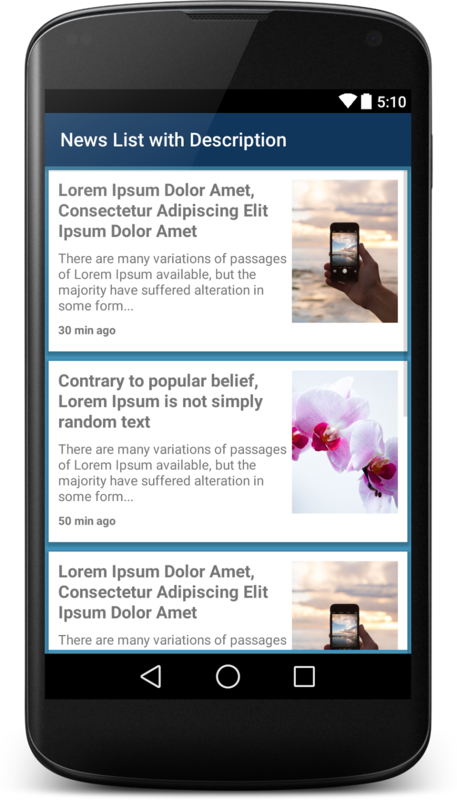 Following is the sample news list XML UI design with image and short description for android feed reader application. The output of above xml code is looks like this.